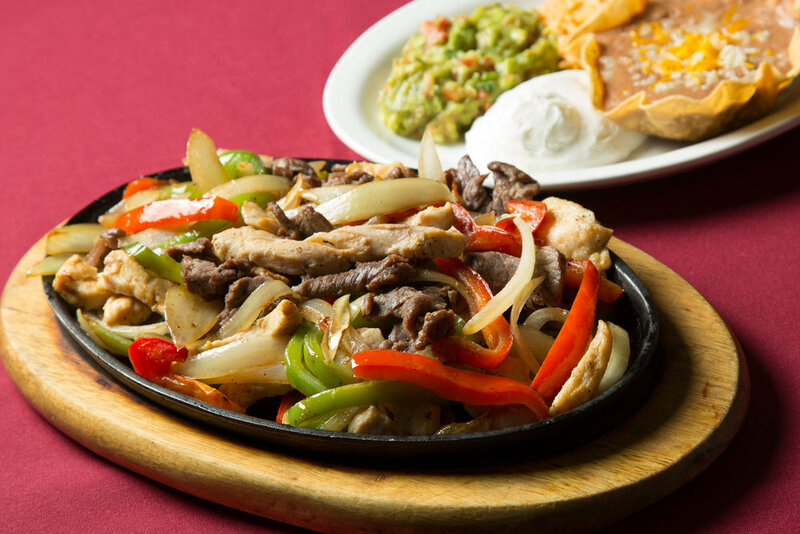 Located in Corning, Rancho Grande has been serving delicious Mexican food since 1991. Opened in 1991 by Luis and Teresa Manzo, Rancho Grande combined Luis' experience in the Southern California taco shop scene with Teresa's traditional family recipes. For 25 years, our family-owned business has been proud to serve fresh and delicious Mexican food to Northern California. 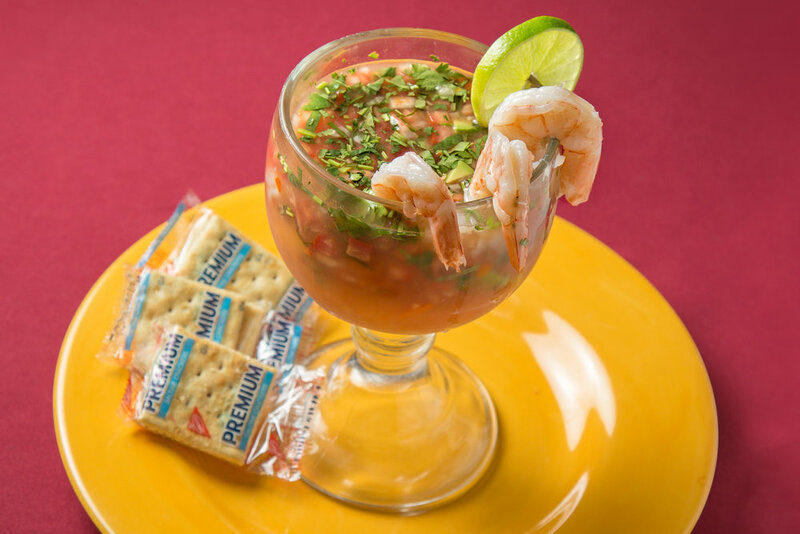 Visit us and taste the Rancho Grande difference! Chicken, Shredded Beef or Ground Beef, served with rice & beans. Plump pieces of chicken in our homemade mole sauce. Seasoned strips of grilled top round beef, served with pico de gallo. Bite sized pieces of lean pork prepared our homemade verde sauce. Bite sized pieces of lean pork prepared in our homemade red chile sauce, served with. Marinated tender strips of top round beef or chicken breast, grilled with onions & bell peppers (mixed available). Two chicken or shredded beef tacos, in a soft corn tortilla with onions, cilantro & tomatillo salsa. Served with Salsa, Guacamole & tortillas. Grilled chicken breast cooked with bell pepper & onions, served in our homemade chipotle sauce. Two chile rellenos served in a cream sauce, served with rice and beans. Chicken breast grilled with onions & bell peppers, served in a cream sauce , served with rice & beans. A flour tortilla enchilada covered in both green and red enchilada sauce, served with rice and beans. A corn masa shell topped with choice of chicken, shredded beef or ground beef; green enchilada sauce, sour cream & tomatoes; served with rice. 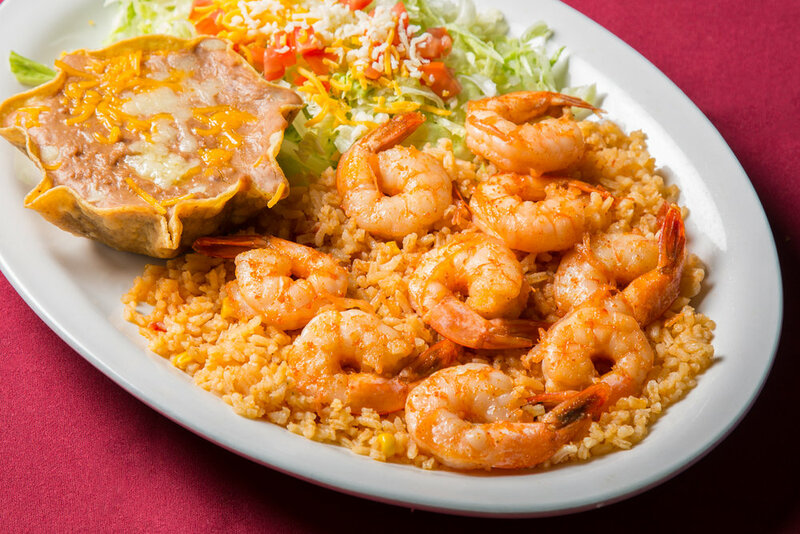 Shrimp simmered in our homemade Salsa Española & served with rice & beans. Shrimp sautéed in butter and chilies (spicy! ), served over rice along with beans & salad. Shrimp sautéed in our homemade garlic sauce, served with rice & beans. Shrimp sautéed in butter, onions, bell peppers, topped in a chipotle sauce. Served with rice & beans. Shrimp sautéed in butter, garlic, bell pepper & onions, served with rice & beans. Made with shrimp, red snapper filet, octopus, clams, scallops, crab legs. Made with tomatoes, onions, cilantro, avocado, ketchup & shrimp. 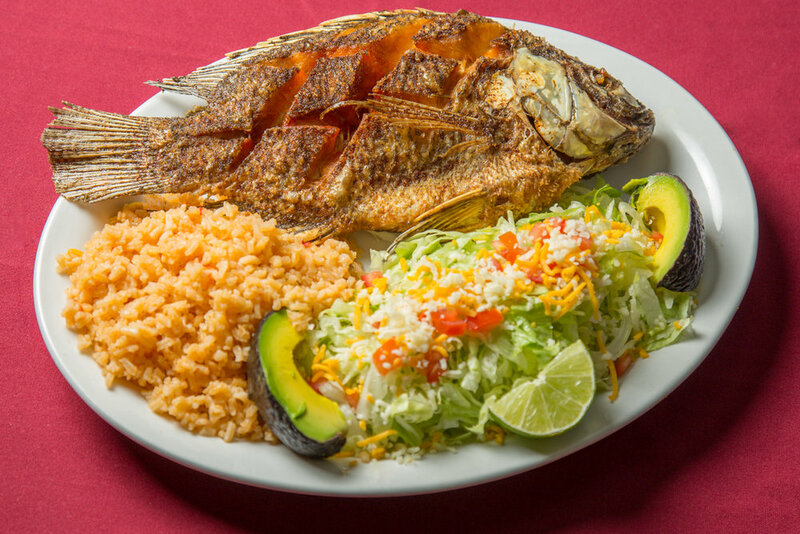 Whole, fried tilapia served with rice, salad & tortillas. A bed of chips topped with beans, choice of meat, lettuce, tomatoes, cheese & guacamole. (Vegetarian) Beans, rice, lettuce, tomato & guacamole. Beef braised with tomatoes, bell peppers and onions. Mexican style sandwich served on telera bread. Beans, lettuce, tomato, cheese, creamy guacamole. Beans, Pico de Gallo, Mexican guacamole.